We are excited to announce an upcoming, feature-length documentary about Centralia, PA. 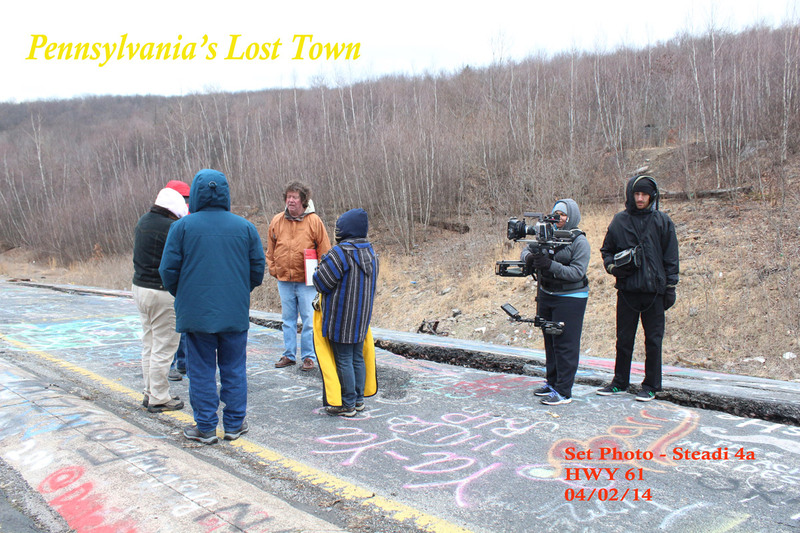 Titled Centralia, Pennsylvania’s Lost Town, the documentary is being directed by Joe Sapienza II and is slated for release in the spring of 2016 [Update: Film to be released in Spring ’17]. Sapienza’s interest in Centralia began while attending school at Drexel University. There, he made a short film about the town for a class project. 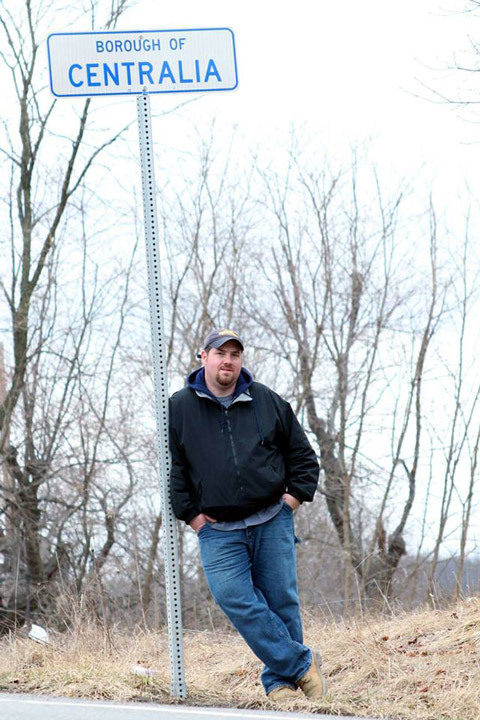 After completing the short and graduating, Sapienza’s interest in Centralia, PA only grew stronger. 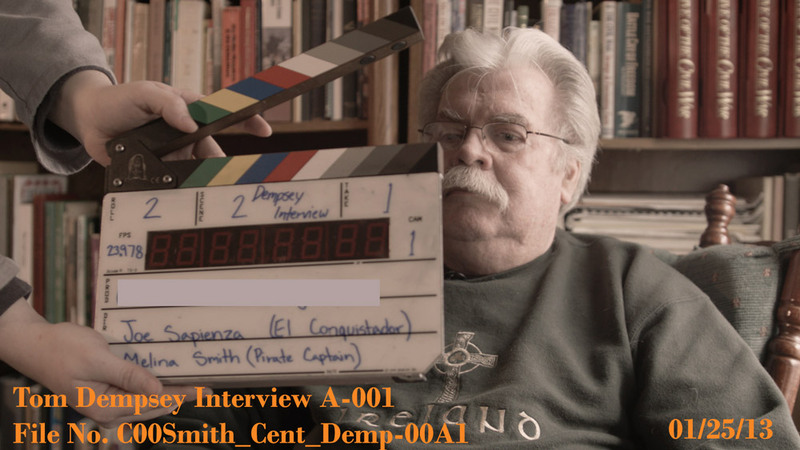 In the fall of 2014, he partnered with Bobby Hughes at EPCAMR in order to cleanup what remains of the town. Together with a group of volunteers, the team helped to remove nearly five tons of garbage from the borough. It was also during this time that Sapienza decided to turn his class project into a feature-length documentary film. 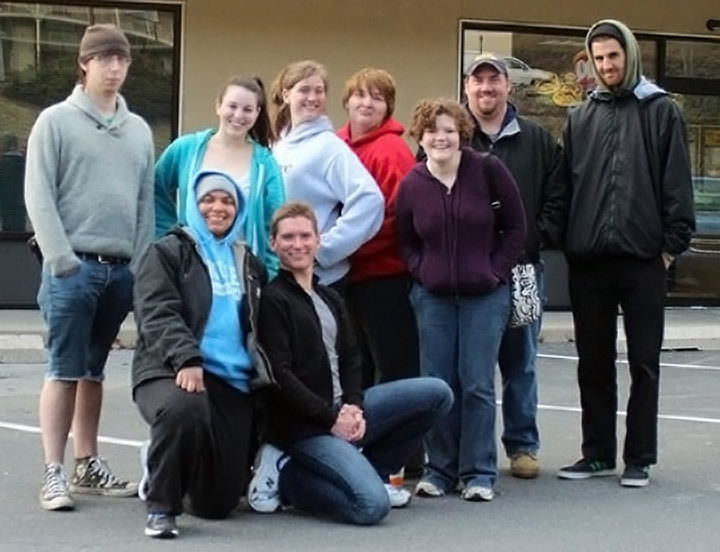 Join the May 16, 2015 Cleanup Day in Centralia! Centralia, Pennsylvania’s Lost Town covers the complete history of Centralia and the neighboring town of Byrnesville. The film uses historic photographs, vintage film reels, and narration to take viewers back in time, before an underground mine fire ravaged the area. The film charts the course of the fire, from its beginnings in the town landfill through the contentious politics that eventually tore apart Centralia’s tight-knit community. Finally, the documentary follows the story of the mine fire to the present day, including the relocation of residents, years of lawsuits, and the status of the six homes and four families who currently live in Centralia. 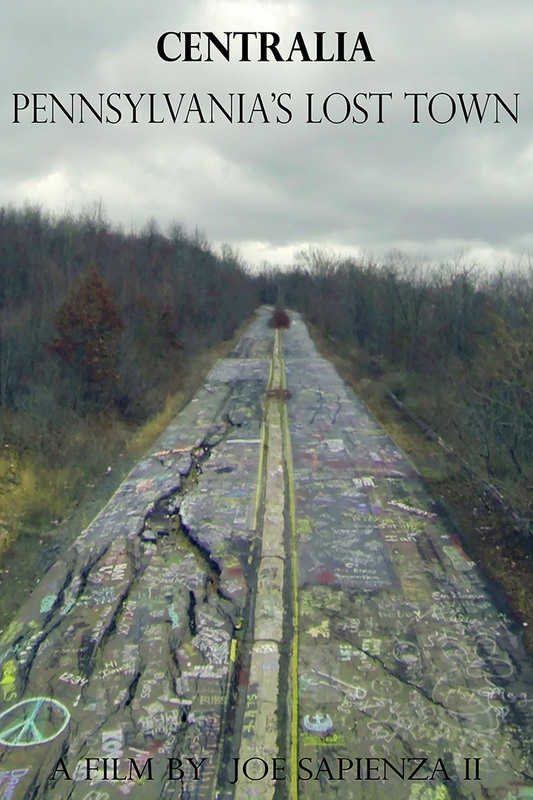 Centralia, Pennsylvania’s Lost Town has over 20 interviews from current and former residents, lawyers, coal company representatives, and state officials. The film also captures the modern fascination with Centralia and its tragic mine fire, including why thousands tourists flock to the town each year. According to Sapienza, the film should be in post-production by this summer and will be released in early 2016. There will be two private preview screenings for those involved in the film, as well as for former and current residents of Centralia. These will be held at EPCAMR’s headquarters in Ashley, PA and at one of the local historical societies in the area. Camera Operators: Melina Smith, Brian Sullivan, Joe Sapienza, Brian Keenan, Connor Bordiga. 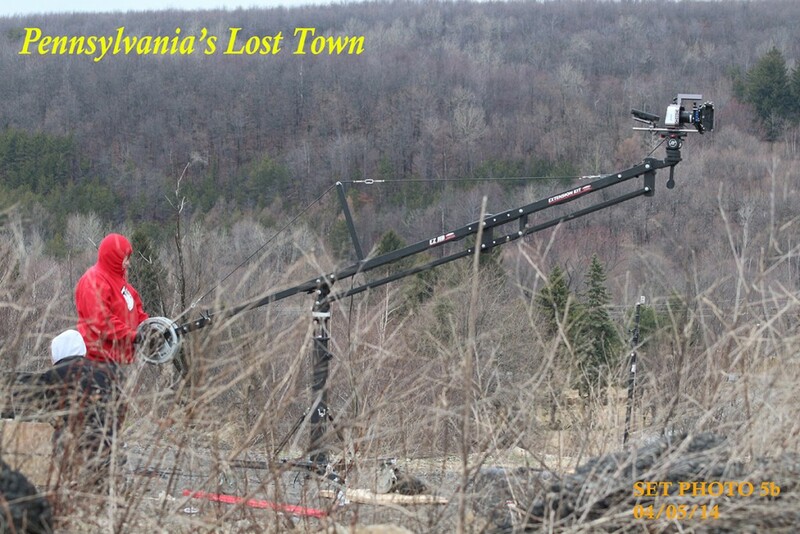 Sapienza’s unique cinematic style along with his passion for Centralia and its people are sure to shine through in the film. 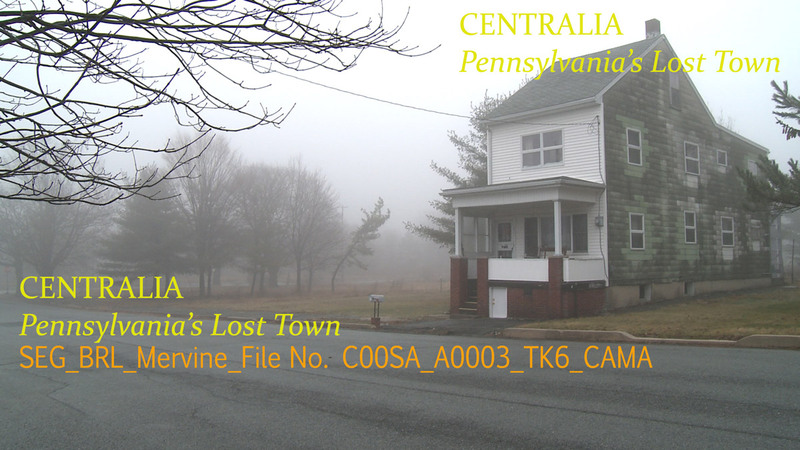 Upon its release, Centralia, Pennsylvania’s Lost Town will be required viewing for anyone curious about Centralia, Byrnesville, or the mine fire that has ravaged these communities for over 50 years. Special thanks to Joe Sapienza II for providing the images and stills features in this article. She graduated from Hubert HS then went to Philadelphia to work, and eventually married and returned to live in Ashland. Many years later, after many homes had been demolished, we happened to be passing through Centralia on way to medical appointment i Danville, PA, and I will.always remember mymothed’s look of devastation when we came to the top of the hill from Ashland and she saw a good part of the down gone! As a preteen and teenager I lived through the origin of the mine fire travelling many days from Ashland to Centralia through the sulpher smoke thay engulfed the road as we almost daily went to visit my great aunt, Catherine Hinchey (through the 1960’s.. So few yet so many memories. Hi Cherie. You are quite welcome. Thank you for posting your wonderful memories of your mother and Centralia! 95 year old Helen timpko misses her centralian neighbors !!!!!!!!! Looking forward to seeing this documentary! I am fascinated by this place. Have visited only a couple times but keep checking online about it. Glad to see this film being made! The short film is really nicely done. Look forward to seeing the full-length version! I live near the abandoned town of Alvira, PA in Lycoming/Union Counties. The local historical society there got permission to put up markers indicating where old homes and buildings used to be before they were razed. They also worked with an older resident to make a map of the town “as it was.” Maybe that will be possible in Centralia one day. It could be a source of comfort for people who once lived there. Thanks to all who shared their memories on camera! My Baba’s house was the one to the left of the Mervine picture. My Grammy’s house was at the top of the hill not far from St Ignatius Church. As kids we roamed the cemetery, bought candy at Coddington’s, Marie’s and Gert’s. We went to the pink Legion with my Uncle John. We attended both St Ignatius and Saint Anne’s churches. Both my parents are home now, buried in there beloved town. Not sure why the owner of the 17-minute preview is now doing everything they can to make it so difficult to view that preview, but I absolutely WILL remember this when the actual film is released and the owner is looking for a buck. I really was truly planning on buying a copy. Now? No way. I was thinking the same thing. Also, according to the documentary’s IMDB site, it’s supposed to be released this month. Anybody have any word on an actual release date? Hi Donald. Word on the street is that it will now be released around November this year! I just answered my own question, I think, May 5. However, what theaters? Anything close to State College, PA? We were in Centrailia today. There were about 50 cars parked with no one in them People were just milling around. There is just something about this town I can’t put my finger on. We too are looking forward to the movie coming out. But when?!!! I would like to purchase a copy of the movie? Please contact me.